Xbox Live has apologised for suspending an American gamer because the name of his town violated the company's policy on "offensive" language. Josh Moore, 26, a resident of Fort Gay in West Virginia, listed his town on his gamer profile. But he was told by Micrsosoft customer services that his account had been suspended because it contravened the company's offensive terminology policy due to the word "gay". Mr Moore said he was initially confused by the suspension but tried to convince customer service that his hometown name was real. Despite urging an Xbox Live employee to search the internet for Fort Gay, he was told that nothing could be done and that if he put the town's name in his profile again, his account would be permanently cancelled and his $12 monthly membership fee, paid two years in advance, would not be refunded. Mr Moore told Associated Press: "At first I thought, 'Wow, somebody's thinking I live in the gayest town in West Virginia or something.' I was mad. … It makes me feel like they hate gay people. "I'm not even gay, and it makes me feel like they were discriminating." The mayor of Fort Gay, David Thompson, also tried without success to persuade Microsoft that the town's name was not offensive. 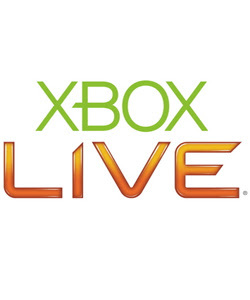 Stephen Toulouse, director of policy and enforcement for Xbox Live, blamed miscommunication for the issue and said he would apologise to Mr Moore. "In this very, very specific case, a mistake was made and we're going to make it right," he told AP. Xbox Live has been criticised by gay gamers in the last two years for barring users for including words such as gay and lesbian in their gamertags. It bans users from displaying language in their personal information that "may offend other members". Last year, the company revised its code of conduct to state that the words 'lesbian', 'gay', 'bi', 'transgender' and 'straight' would be permitted but no slang words for sexual orientation or gender identity would be allowed.